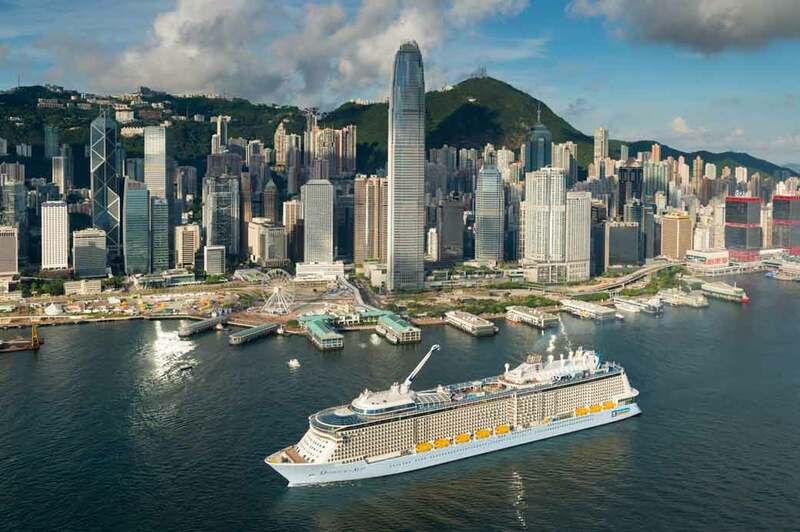 Quantum of the Seas, the largest cruise ship to visit Asia, made a spectacular entrance to Hong Kong’s Victoria harbour today. The ship, which debuted in Southampton last October, will be based in Shanghai. Sister ship Anthem of the Seas is sailing from the UK throughout the summer. The ships carry up to 4,905 passengers each and Quantum was the first ever to carry the signature NorthStar observation pod which carries guests 300 feet above the sea. 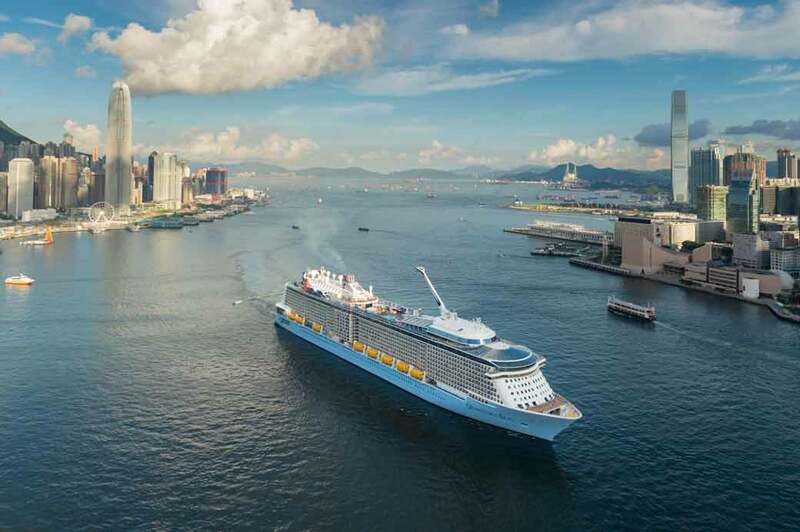 Other innovations include a skydiving simulator, dodgem cars and robot bartenders, while the ship also has Royal Caribbean’s popular Flowrider surf simulator and climbing walls. The restaurant menus have been tweaked to meet eastern tastes, and it will be interesting to see how Jamie’s Italian is received by Chinese families. 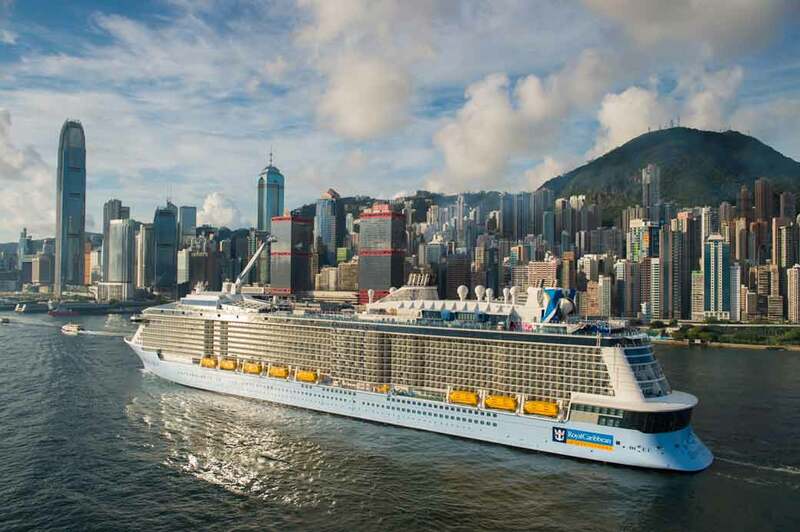 A posse of Royal Caribbean executives were in Hong Kong for the maiden arrival of the ship into Kai Tak cruise terminal, and the Hong Kong Police Band performed in the ship’s spectacular Two70 show lounge.